Novation V-Station Razor v1.0 Mod from COLOVE Products for premium users, who buy our production. 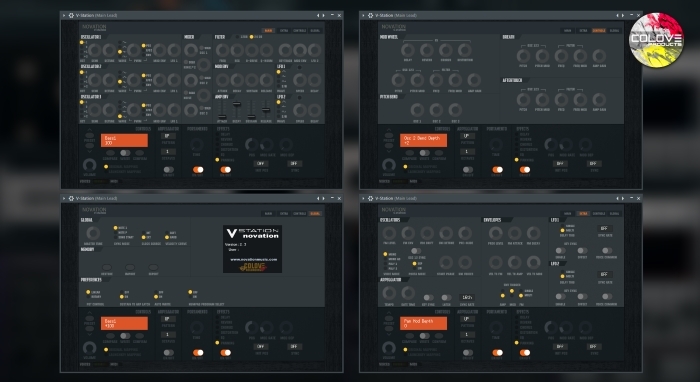 Yeah, but we a very love the this plugin and make a new design for all who love it too.. It’s the best VSTi products who wand make a some nice music! EDM Style! EDM Feel! Come on! Enjoy! What’s we added and fixed? – Fixed and replaced all knobs (Vector). – Added style from Sylenth1 Razor by COLOVE Products. 1. Open the plugin folder and replace “Resources” folder.